We've discussed the health benefits of Millennial Pink foods at length. Golden milk lattes are quickly populating cafe menus everywhere. At this point, the telltale green shade of matcha is practically passé. In our aesthetically driven world, it's not exactly surprising that health food trends are circling the rainbow—but it's just as well since a superfood's beautiful hue often denotes an abundance of nutrients. Consider Blue Majik, which is the latest to hit the wellness vernacular. A derivative of the sea algae spirulina, this powder is quickly gaining buzz for its high antixoidant content and nutrient-density—not to mention the pretty aqua hue it casts on smoothies and lattes. Curious about the specific health benefits? Keep scrolling for an expert POV. 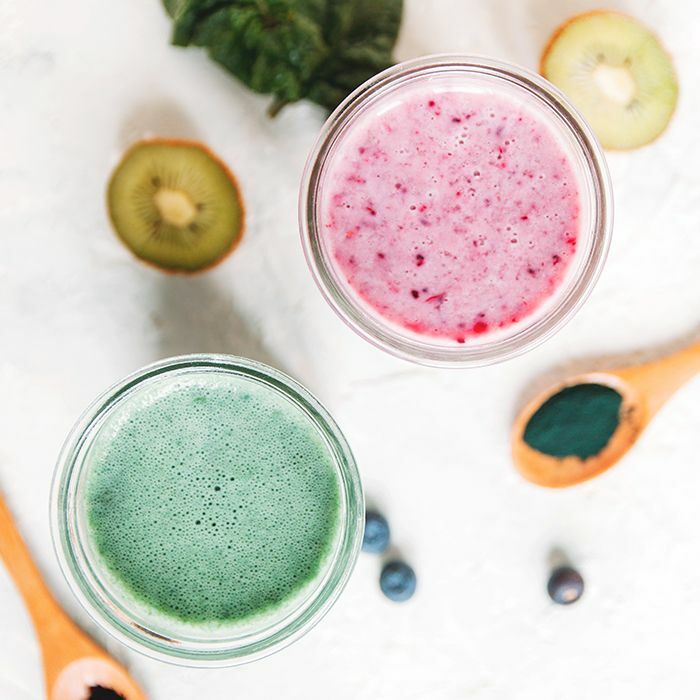 "Spirulina is often touted as being one of the most nutritionally dense foods in the world," says Kara Griffin, an L.A.-based holistic nutritionist and fitness expert. "It has a complete amino acid profile and is super high in vitamins and minerals like copper, iron, riboflavin, and thiamin to name a few." Studies also suggest that due to its high antioxidant content—which aids with inflammation—spirulina may be able to help fight cancer and other diseases. It's also chock-full of protein and B vitamins, which is why it tends to be so popular with the plant-based set. "Nutrient density means a food can work toward healing many imbalances at once, and I love spirulina for that reason—it can multitask for you," says Griffin. How is Blue Majik different? Blue Majik is sourced from spirulina, but they're not exactly the same thing. "Blue Majik is phycocyanin derived from spirulina," explains Griffin. "You could say it's spirulina's 'active ingredient.' This antioxidant is part of what gives spirulina it's inflammatory-fighting response in the body." Phycocyanin is also the pigment that gives spirulina its blueish hue, so that cobalt color is even more pronounced upon extraction. 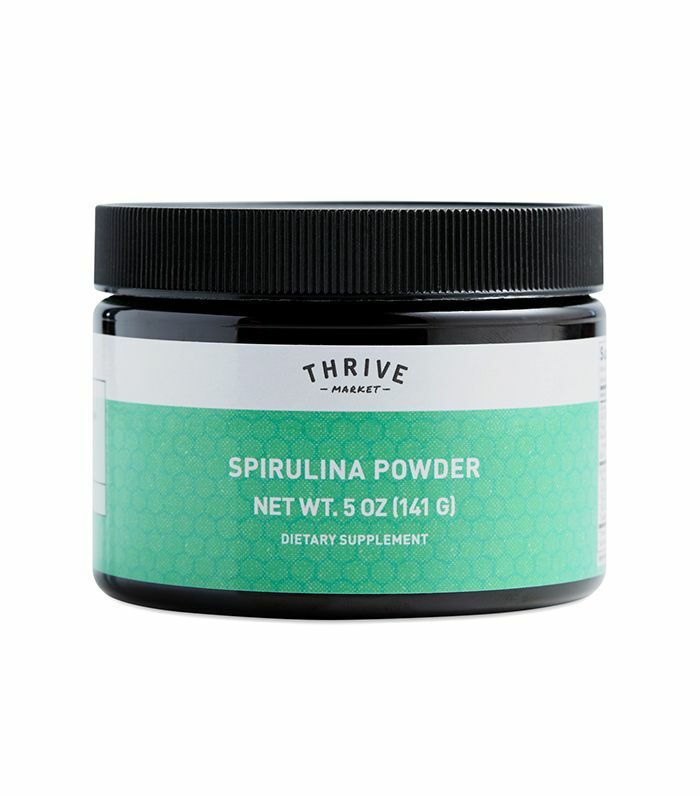 This all said, while this antioxidant concentrate certainly has amazing health benefits, you are theoretically getting an even greater array of vitamins and nutrients by sticking with regular spirulina. But both are great for you, so you definitely don't have to feel guilty if you opt for Blue Majik in the name of aesthetic. How can I include it in my diet? "I take it daily in pill form but you can easily incorporate it into smoothies, sugar-free and/or dairy-free yogurt, chia seed pudding, overnight oats, or kombucha," says Griffin. It might be a sea algae, but the beauty of spirulina is that it really doesn't have any kind of weird or fishy flavor. I put a teaspoon in my smoothie every single morning, and I'd never know it was there if my beverage wasn't a brilliant teal color." If you'd rather something pre-made and convenient (aside from capsules), Griffin recommends these Go Raw snacks ($29). But if you're deferring to the selection at your grocery store, just be sure you're reading labels. "Make sure, as with all food, the quality is high and free of any contaminants that could negate spirulina's benefits," advises Griffin. Next up: Try these three easy (and delicious) ways to include more matcha in your routine.